Let’s say you have a dental office in Moreno Valley, CA. How does your potential patient sitting back at home or at work get to know about your practice? Website is a cost effective source that acts as the face of your business online. ‘Wait! I already have a website. I feel it is not doing well to reach out to my patients.’ If this has been your concern, then our Search Engine Optimization can be the key to the success of your business. Fortunately or unfortunately the web world is filled with several million websites like yours, with many more going live every day. So how does a person search for information online? How does he look for a particular service in his locality? Search engines are wonderful programs that fetch the accurate results based on the search phrase in the quickest span and in the most cost effective way. 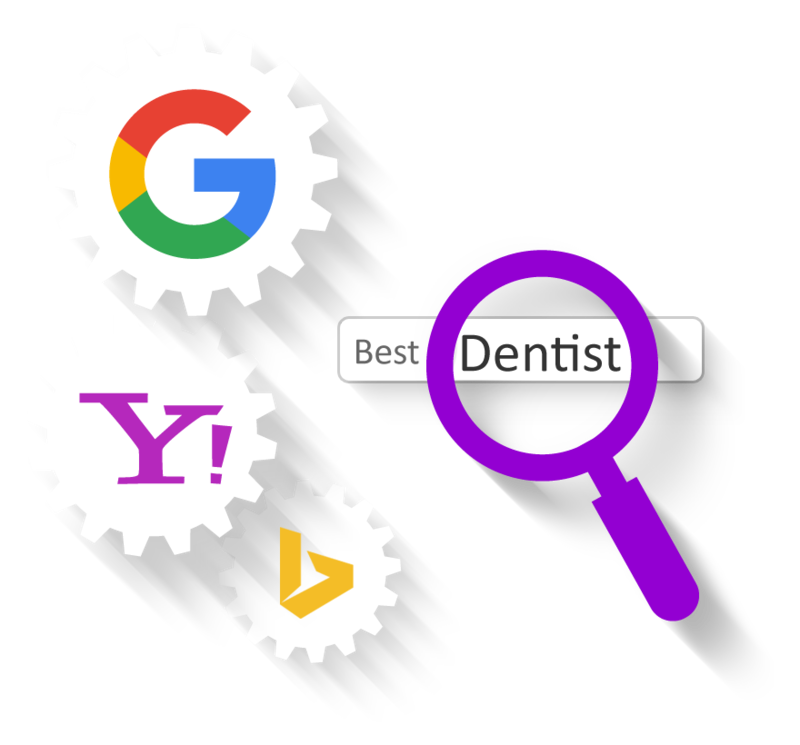 When your potential patient searches for dental care providers in your locality, ideally the search engine should display your website on the top of the page in search results. This way there are more potential patients visiting your website and better business you do. Search Engine Optimization involves a series of activities which are performed with an aim to bring your website on top of search engine results for selected keyword phrase searches. When your website ranks in first page for selected keyword searches there is high probability of your potential patients visiting your website. Hence finding your website in the first page of search engine brings your potential patient one step closer to your office. How a website is optimized for the Search Engine? There are a number of Search Engines that people use today. Google is one of the most popular and widely used search engines. Yahoo, Bing, Ask and AOL are few other search engines. Each of them has its own algorithm which is formulated in a way to come out with the most accurate search results for search phrases. Search Engine Optimization by Digital Marketing team at ADS involves use of techniques and strategies that are implemented thoughtfully such that your website is pushed higher in the search results. The ultimate aim of our aggressive yet authentic marketing strategies is to get your website on the first page of search results for all key phrase searches. We do in the shortest time span and you don’t pay until your website ranks in the first page.